We are pleased to welcome our new Business Development Manager, Steve Timmins, who has joined Unicus to support the growth of Inox Dine as well as the other venues and services in the withUS umbrella. Steve joins our specialist conference and hospitality team, cUStomised, having gained sales and marketing experience working within hospitality, sport, leisure and the UK music industry. Football and music fan Steve has enjoyed brushing shoulders with pop stars and professional footballers during his career working with organisations including Universal Music, Leicester City Football Club and Leeds United Football Club. He has also represented Macdonald Hotels & Resorts and Mitchells & Butlers, the largest operator of restaurants pubs and bars in the UK. Speaking about his appointment: “I am incredibly excited to be working with such a great team of Sheffield hospitality professionals and at a venue as prestigious as the University of Sheffield which has a fantastic range of conference, banqueting, catering, event and accommodation facilities. It’s a great opportunity and a new challenge. My goal is to increase awareness of the incredibly high service levels provided at Inox Dine, Halifax Hall hotel, The Edge and Firth Court, and indeed the whole of the organisation. The next Breakfast Club networking event is from 7.30am until 9am on Thursday 26 February. To book your place at our next Breakfast Club, you can register to attend via eventbrite. 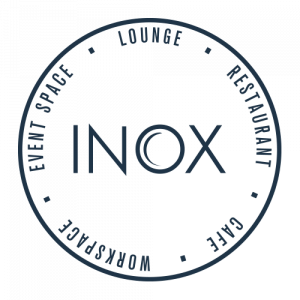 Further information can be found at http://inoxdine.co.uk Inox Dine is located at Level 5, Students’ Union Building, Durham Road, Sheffield, S10 2TG.